fed up with being disorganized? tired of not being in control? ready for a serious change? willing to work to be in control of your projects, your home, your time, and your money? If you answered with a resounding “Yes!” then Adult ADD BootCamp | Organized and In Control is right for YOU. WARNING: This program is only for people who are serious about overcoming the frustration of disorganization and are willing to put some serious work into their life to create a compelling future. How to get control of your paperwork and your projects. How to create a super-efficient home/office. How to get control of your schedule and stop feeling rushed. How to organize your bills and control your money. How to create quick routines to stay organized. How to use your personal strengths as a benefit. And…you won’t just be learning these ideas, you will be doing! Experience the BootCamp and experience yourself developing strong, positive habits with just six-weeks! 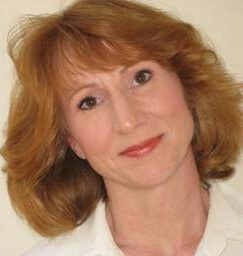 The Premium BootCamp offers one-on-one personalized help for rapid success. Weekly Wednesday group Telephone or Webcast meetings allow you to share the experience with others who are working on the same issues. Meetings are recorded, so it’s ok if you miss a session. All of this, plus Progress Updates and Handouts to maximize your personal success! 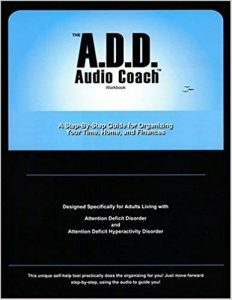 The required text book for the Adult ADD BootCamp is The ADD Audio Coach. A DIGITAL version is included and is available immediately upon registration. Designed specifically for adults with ADD / ADHD , this 87-minute, 3-CD audio course -- with companion 120 page workbook -- will help you regain control over your time, home environment, and personal finances. The CDs function like coaching sessions, guiding you past your roadblocks, and offering new ways of approaching old problems. The workbook includes exercises, comprehensive lists, and visual tools that will help you put these principles into practice every day. Even if you've never been able to get organized before, this system will create awareness of your specific challenges, provide tools for you to rely on, and help build a plan for your future success. This workbook was designed to last. With a protective clear front cover and a solid vinyl backing it is rugged and durable. The workbook pages are heavy duty report paper and the printing was designed with "Ease of reading in mind." A flexible coil binding creates effortless page turning and reduces paper wear. You will find an anti-scratch lined CD holder bound within the workbook for convenient and safe CD storage. Rushing to "keep up" can make you feel like you're running in circles. What do I need? Where do I have to be? Who am I meeting with? For adults with ADD "keeping up with everything" can be overwhelming! STOP THE CYCLE OF RUSHING! STOP SURVIVING START THRIVING! The process of organizing your environment is broken down into 4 sections. Our "Quick Clean Process" teaches you to zoom through your rooms! The program covers each room specifically in detail. QUICK ROUTINES FOR REAL LIFE! DESIGN A LIVING ENVIRONMENT THAT WORKS! This section is designed to work from any financial starting point. This system will guide you step-by-step through the process of creating reserves and streamlining your financial management system. In this section, we also cover paperwork, paper flow, and show you how to create a filing system that is easy to manage. 15 MINUTES A WEEK TO FINANCIAL CONTROL! I am a member of Linda Hillger’s BootCamp class, this is finally something that I can put into practice and help my ADD brain/life get better organized and in control. I have found the Audio Coach to be an invaluable tool in the road of an ADHDers life. I would highly recommend the ADD Audio Coach and the class to everyone. I felt really good about myself Sat night when I went to bed – not something that has happened to me regularly in the past! I worked on the kitchen yesterday and this morning, my husband said it looked awesome! He [a class member] stopped his day and wrote back- he was so kind and supportive, it really helped me feel better. I am really hoping we can help each other out post-bootcamp. I have never really had anyone who was good at keeping me accountable and understood the ADD thing. I am so thankful to have connected with some of these campers! This course has been great! Each section has added more control to my life. This course has helped me organize my work area immensely. I feel I have more control over bills, mail, taxes, budgeting, and many more things. I highly recommend this course to anyone who has ADD. We often think of ourselves as being odd and different than others, and I guess we are. It’s good to be able to see that there are other people like me and be able to communicate with them. Funny thing, last week I could not find a pen or a pencil. Using the system, I now have 300 pens and pencils in a bag…(I almost started to count them. –ADD–but just guessed and continued to add them to the bag.) This class has worked wonders. I can hardly wait to start the project management section…I know my boss is in for a big surprise!